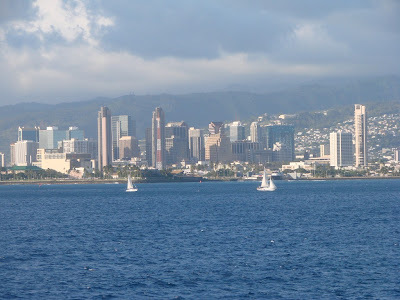 View of the Honolulu skyline. Global Hawaii will be taking a much needed vacation starting tomorrow to recharge and collect more photos. We wish best of luck to those of you running in the Great Aloha Run and a nice moon view for those on Bob’s Kaka’ako Full Moonwalk. Also wishing you a happy Presidents Day weekend hopefully full of sun and fun. Aloha! Watching last nights episode of Hawaii Five-0 a group of college kids were attacked by “pirates” as the partied about the Makani. To me one of the joys of watching Hawaii Five-0 is seeing places I’ve been and things I’ve done. 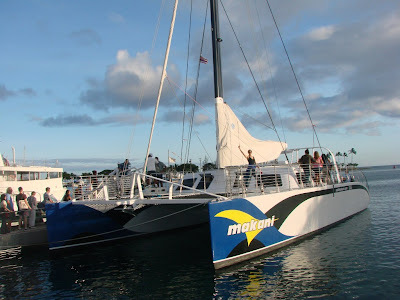 So I pulled out this picture of the Makani Catamaran. A few years ago we boarded this on Bob’s Moon Cruise and sailed through Honolulu Harbor. Find our more about the Makani here. Happy Valentine’s Day to everybody. 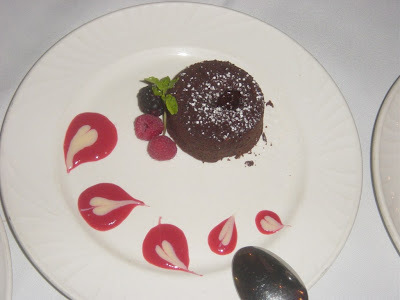 Featured today is one of the perfect Valentine’s Day dishes the Chocolate Souffle. This one was served up at Chai’s Island Bistro in the Aloha Tower Marketplace.